The season finale is here folks, and the 1988 crew has cooked up a hell of a finisher! 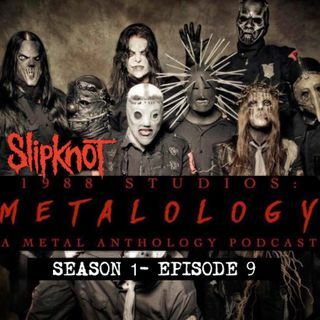 Lou, Alberto, and Anthony discuss heavy metal fan favorites, Slipknot. They talk about their introduction to the band, favorite albums and songs, and how they feel about upcoming music from Slipknot. This has been a great first season and 1988 Studios wants to thank everyone who has hung around and checked out ... See More the episodes. We will be back sometime around March/April with Season 2. However, we might be adding a bonus episode or two in the coming months so be sure to stay tuned and be subscribed.